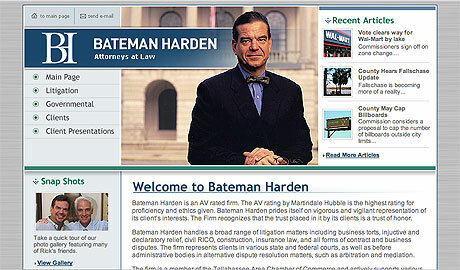 Bateman Harden represents a large local and regional constituency. Their work and consulting practice is highly visible among Florida’s elite. Bateman Harden enlisted JVA to design a site that communicated its vested interest in the Tallahassee community while also preserving their national branding efforts.